What Team Has the Longest Winning Streak in College Football History? Between 1953 and 1957, the NCAA Division 1 Big 7 Conference Oklahoma Sooners of the University of Oklahoma won a remarkable 47 straight games under Coach Bud Wilkinson. Their 1,512-day winning streak began with a 19-14 win against archrival Texas in the Cotton Bowl in Dallas on Oct. 10, 1953, and it came to a halt in a 7-0 loss to Notre Dame on November 16, 1957, at Owen Field in Oklahoma -- it was the first time in more than 120 games that Oklahoma scored zero points. 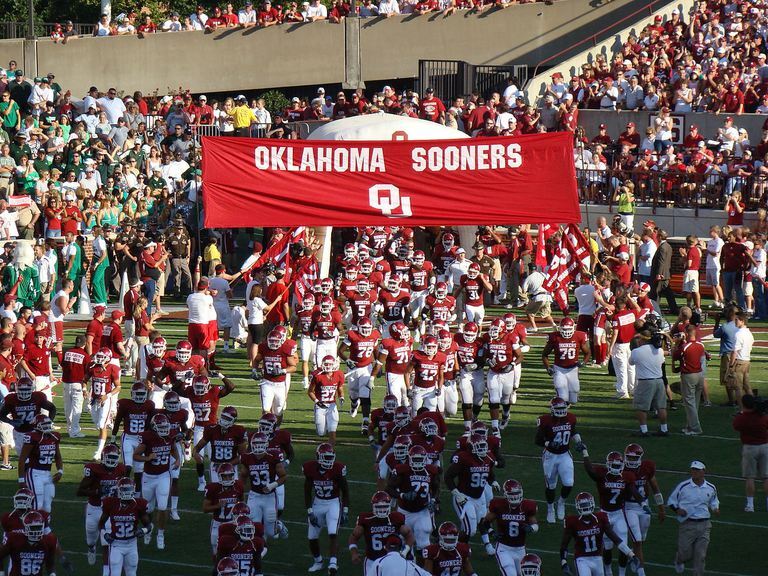 More than a half-century later, the Sooners still hold the record for the longest winning streak in college football history by a major college football team. Mt. Union in Pennsylvania -- a smaller school in Division 3 -- has twice broken the Sooners’ record. Wilkinson led the Sooners to two national titles during the winning streak -- in 1955 and 1956 -- as well as conference titles during the entire five years of the winning streak. Some say it’s a record that will never be broken -- and while that may be true, the University of Southern California Trojans gave the Sooners' record a pretty good run. Between 2003 and 2005, USC Coach Pete Carroll’s football squad ran off 34 straight wins before falling to Texas in the BCS National Championship Game. The Sooners also experienced a 28-game winning streak under Coach Barry Switzer from 1973-1975, and the team continues to be a powerhouse football team in the modern era of NCAA Division 1 football. Below is a list of the longest winning streaks in the history of college football. Only streaks of at least 30 games are included. What College Football Programs Have Earned the Most Wins?